34 Fitzwilliam Street Upper Dublin 2. The House Architects are an RIAI accredited practice specializing in the design of self-build houses and house extensions in the Dublin, Wicklow, Kildare area. The essence of a great family house is an architectural design and layout that meets the needs of all family members and are passionate about helping people to realise the full potential of their existing house or to help them crystallise their vision for their dream home. We are conscious of the importance to work within the project budget. At every stage of the design process we ensure that budgetary considerations are equally balanced with design objectives. We strive to achieve the maximum impact solutions, even with modest budgets, through innovative design approaches. Have You Seen Our Optimise Home Service? Anne Mahon Architect is a design led architectural practice specialising in residential projects. Anne is known for her ability to create, light, bright and airy spaces, using over 17 years' experience, she guides clients through their design project. Comfortable working with novice homeowners who are working on their first home all the way through to design aware clients who know exactly what they want. The practice believes that no matter the budget, orientation, aspect or location there is always something to build on in terms of design; the focus is then placed on a detailed consultation process which includes 3D drawings and renderings. The end result being a happy, informed client. If you are planning a project and would like our help and expertise, we would love to hear from you. Please feel free to contact us on the details above. Studio M Architects is an award winning architectural practice which was established in 1999 by Patricia Mangan. Adrian Hill Architects is based in Dublin, Ireland and since 2008 and has grown to a diverse team of 8 talented and committed staff. As a practice we are open minded, committed to the creation of progressive architecture and new ideas for the way live our lives. We listen to our clients and through a collaborative process, challenge our clients brief to maximise the potential and opportunity each project offers always striving to give the best architectural solution to the budget. Every project starts by defining the brief and setting out the objectives/requirements. Our design process test ideas to arrive at the optimum solution. We look to embrace and push technology to make the buildings we design more sustainable as well as being more striking and dynamic, be it a contemporary or more traditional design. We aim to produce well-crafted buildings that belong and connect to their surroundings, but more importantly tell the story of the people who use them. It is these stories that define our architecture, making our work varied and rich, but more importantly, improving the quality and wellbeing of our clients. Are you looking to modernise your home? The architecture practice was established in 1979 with the intention of providing high quality architectural services from a small organisation. Since its formation, it has been recognised as being a design led pragmatic practice, with conservation skills. Planning a renovation this year? We are a boutique architecture studio with over 16 years experience in designing family homes. We are known for our collaborative process - we don't have a 'house style', instead we focus on creating unique designs which reflect our clients preferences and maximise the potential of your home and budget. We look at the finer details, and are passionate about light, space & making clients’ lifestyles work in their home. We utilise the latest architectural design tools which enable us to deliver the optimal design solution and give clients realistic visualisations of the final outcome. We are a friendly and highly-skilled team and make it our mission to expertly guide clients through each step of the way. We’d love to hear from you, contact us to discuss your dream home. One of our project has recently been featured on RTE’s Home of the Year 2018! Dublin Design Studio is a multi-disciplinary studio, established by architects David Craig and Niall Henry. We have been collaborating on projects together since 1999. Dublin Design Studio was formed out of our desire to focus on our passion for design excellence and contemporary architecture. Each project is approached as a collaborative effort between the designer and you, with an intimate understanding of your brief. Since establishing our practice, we have developed a diverse client base and worked on a wide range of building types. We have established a reputation both for the quality of our design work and the efficiency of our management of complex building projects. Following graduation Stephen worked in several well known practices before setting up his own Architectural studio over thirty years ago. Forming good relationships with clients is the key to successful projects. He begins every project with a client meeting to discuss not only the functional requirements but also likes and dislikes. Years ago he would suggest to clients that they rip pages out of magazines and make two piles - images they like and just as importantly those they don't. 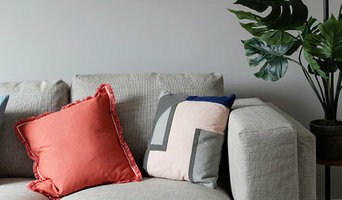 Nowadays, Houzz Ideabooks are the starting point ! Next he carries out a detailed, measured and photographic survey of the site and house as applicable so that they can be accurately 'drawn up'. Once in the computer the fun starts - the merging of ideas and the restraints of the building and site. With an initial scheme in hand and a tracing paper pad it's back to the clients. Often more ideas emerge at this meeting and after an intense hour or two something magical frequently appears. Once the preliminary design is agreed by all, the planning application process with the preparation of developed drawings begins. The next stage is another exciting one as now the real detailed design and selection of materials and finishes begins, culminating with the issuing of a comprehensive set of construction drawings, specifications and health & safety documents for tendering purposes. Stephen has a panel of excellent builders. A building contract is signed, commencement notices issued and the JCBs arrive on site. During the build site meetings take place on a weekly or fortnightly basis, involving clients, builder and architect - a three way conversation from which great ideas translate to even better reality. To keep everyone on their toes minutes including time and cost updates are issued and when all is finished and everyone is happy Stephen issues certification with the Planning Permission and the Building Regulations as applicable. The primary elements of Architecture are space and light. These ethereal elements do not cost anything. It is only when we enclose them that cost is introduced. 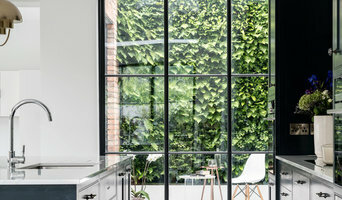 Best of Houzz Design 2019! Provides a hands on and distinctive service tailored to the particular requirements of every client. Award-winning residential architecture for house rebuilds, refurbishments and extensions. Founded in 2011, the practice has gained widespread recognition in Ireland and abroad with numerous successes in both the RIAI and AAI annual awards as well as a broad range of publications and features on the practice’s work. Our Architecture is contemporary in character and is carefully tailored to accommodate our client’s brief, respond sensitively to existing situations and create spaces for living that delight and endure. John established O’Keeffe Architects over 20 years ago to allow clients a real option in securing concept based Architecture of the highest quality design, with the help and skills of an experienced and dedicated design team. He is a RIAI registered and a Grade 3 conservation architect. Most all of his commissions come from "word of mouth" referrals. In the current climate it is at the forefront of our design thinking to prioritise cost effectiveness. Not only in the initial construction cost but throughout the lifecycle of the development through the adoption of viable sustainable energy technologies.The driving force of our project success is our commitment to quality in design. We work closely with our client in order to create a concept which fulfils their needs. Our practice encourages clients to build in an environmentally conscious fashion, and has a long track record in the development of solar and energy efficient buildings. We constantly strive to achieve the best aesthetic value for our buildings without comprising the functionality of the client brief. Call to Discuss Your New Build Project! Architectural services based in Dublin. We undertake all types for residential & commercial projects. 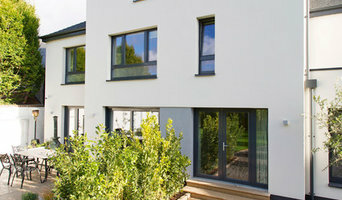 ambient architecture are Dublin based Architects with a dedication to contemporary design. We specialise in domestic projects for private clients. We are members of the RIAI and are accredited as Grade III Conservation Architects and PSDPs. As architects we focus on delivering the best outcome for our clients, in terms of design, costs, and buildability. We believe good design is not just form but can be defined by what makes most sense. We are a creative and dynamic architectural practice offering a rare blend of practical hands-on experience and creative design flair. We’re here to help you create your dream home. From our offices on the Lisburn Road in Belfast and Blackrock, South Dublin, we specialise in residential design, creating contemporary, elegant and practical homes that our clients love to live in. We spend a great deal of time with our clients trying to understand their vision and discussing how we can translate that into beautiful, yet practical spaces. With over 100 completed projects in our portfolio, we know a thing or two about designing and building your dream home. We relish the prospect of designing a home from scratch but are just as inspired with the challenges of extending or converting an existing building. How do I choose the right Dublin architect? Begin by determining the type of architectural service you require. Is it merely advice that you need? Or a detailed set of architectural design plans? Are you hoping to add a single-storey extension or are you really looking for someone to design you a custom home and handle construction management right through to completion? One of the most important duties of full service architects in Dublin is to serve as project managers and supervise most aspects of construction as well as facilitate communication between all other contractors. Architecture is an incredibly technical profession and one where getting things wrong can literally put lives at risk, so do background checks on your Dublin architect. Check they are registered with architecture associations such as the Architect’s Registration Board (ARB) and The Royal Institute of British Architects (RIBA). Being part of an architecture association means that an architect or architecture firm has met certain standards, qualifications and practices, and can be held accountable if they don’t meet these standards. It’s advisable to choose architects that specialise in the kind of project that you are undertaking as their existing experience will shine through in the completed design. Look for an architect in Dublin that can provide references and reviews of their previous work. Once you have determined the service level you need, your next consideration will be architectural style. Some architects specialise in designing for traditional housing such as period cottages and country homes, or even in designing modern replicas in a period style. Others have a knack for imagining bolder, more futuristic architectural design in Dublin incorporating the latest green technology. Check their Houzz profile and website for examples of previous work. Early on, try to gauge availability – there’s no point in choosing an architect that’s going to be booked for months if you have a tight deadline. Some architects are happy to do all their work online or over the phone with you, but if you’d prefer to work with an architect in person then check that your chosen architects in Dublin will travel to you. At the first meeting, preferably at your property or building site, give as clear a picture as possible of the kind of home you are trying to create to your architects. Chat through your goals, projected budget, scope of work, schedule and feedback, together with any very specific requirements you might have. It is crucial that your architects are clear about their responsibilities and that these are documented in the contract. Ask them to walk you through the process, including the number of architectural design consultations, site visits and what they will be delivering and when, e.g. feasibility study, a technical drawing, tender package and/or planning application drawings. They could illustrate this using a previous client’s project. Also, what does the architect need from you? Deeds, rights of way, deposit, staged payments etc. Once you have covered all this detail, you are ready to make your choice and get started. The architecture company in Dublin that you hire will likely start with concept drawings and finish with construction drawings and documents. Some firms even design with 3D renderings, CAD and videos, but this is by no means essential. You are looking for architects in Dublin that have the right balance of creative flair, technical nous, practicality and impeccable service to see you through. Get a sense of whether they are a good listener, collaborator and problem solver. Checking their references will also be invaluable at this stage so look at their Houzz profile for past customer reviews. Ask to speak to previous clients, particularly regarding their responsiveness and ability to work creatively around a budget. There is no set payment structure for an architect. Some Dublin architects will charge an hourly rate, others base their fees on a percentage of the total construction cost or propose a fixed fee (payable in instalments) for projects such as house extensions or a complete home design. You may wish to pay in stages to safeguard against any possible dissatisfaction with the quality of service. Make sure the total figure and payment schedule is agreed as part of your contract, particularly if you are trying to accurately estimate the cost of building a house. What are the important questions to ask architects in Dublin? How long have you been an architect in Dublin? Are you part of ARB and RIBA? Are you part of any other associations of architectural design in Dublin? 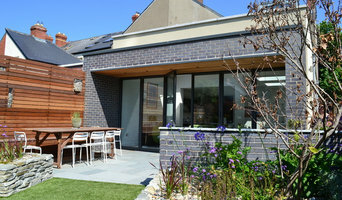 Find architects in Dublin on Houzz in the Find a Pro section today. Start by browsing the architects and Dublin architectural design firms near you and assess their reviews, latest projects and contact details.